Mechanical engineering, metal treatment, machinery engineering, and material science. 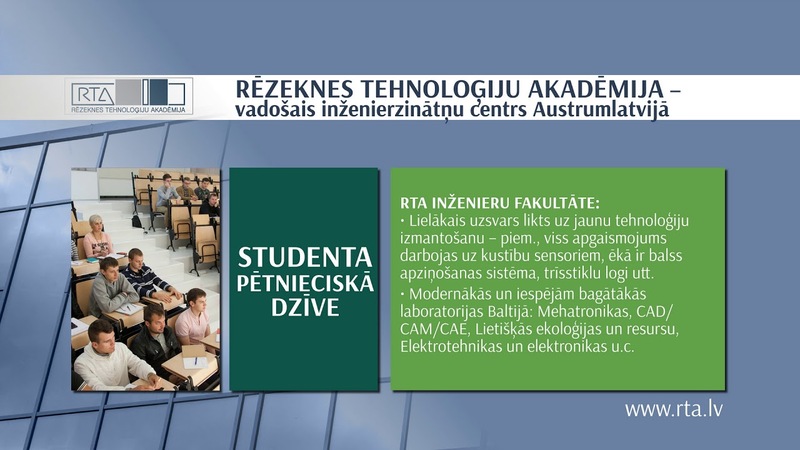 Information and communication technologies, computer science. Smart energy and use of local renewable resources. Service businesses, including hospitality and tourism industry. Regionalistics, including creative and culture industry, in conservation and transformation of Latgalian language and traditions according to the needs of today`s life. Social welfare and rehabilitation technology and human security.